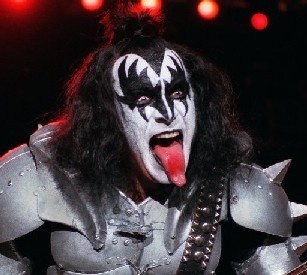 US rockers KISS will play UK dates in 2010 as part of their "Sonic Boom Over Europe: From the Beginning To the Boom" tour. The band will play their first UK arena shows in 11 years as well as dates in Ireland, Switzerland, Italy, Austria, Czech Republic, Germany, Norway, Finland, Sweden, Demark, Holland, France, Spain, Belgium and Slovakia. Kiss bassist Gene Simmons said: "Now. More than Ever. KISS is a four wheel drive monster truck. Our mission? To rock Planet Earth. To spread the gospel of Sonic Boom." If you're on O2 you can get Priority Tickets to see KISS at O2 venues next May. Tickets on sale now. Click here. Terms apply.